Welcome to Global Dental Center in Memphis, TN. Thank you for giving us the opportunity to provide you and your family with complete, comfortable dental care. Whether you need preventive care, restorations, cosmetic treatment or a combination of services, we can help you achieve and maintain the healthy, radiant smile you deserve. If you're joining us as result of a referral, we'd like to thank you for putting your trust in us. We look forward to caring for you and your family. After you have a chance to get to know us, we hope you'll tell more of your friends and family about our office. Fastbraces is an orthodontic treatment, which straightens the teeth much quicker than traditional fixed braces. Fastbraces are a fixed brace treatment that shortens treatment time considerably. Fastbraces straighten the teeth, producing a beautiful, healthy looking smile, which will boost your confidence and enable you to smile with pride. Clear aligners are an effective alternative to traditional braces. They involve a system of clear, removable trays used to straighten teeth. 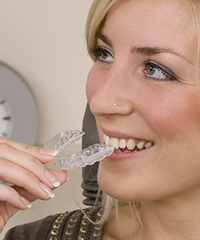 Each aligner is custom-made to fit over your teeth and is designed to gradually move teeth into their proper position. Contact us today for a consultation to see if clear aligners are right for you! Hate to wait? Now you can get beautiful, long-lasting dental restorations in just one easy appointment. 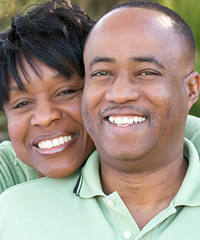 Our practice offers state-of-the-art CEREC single-visit dentistry for crowns, veneers and more. You’ll love how fast you’re done almost as much as you’ll love your new smile.